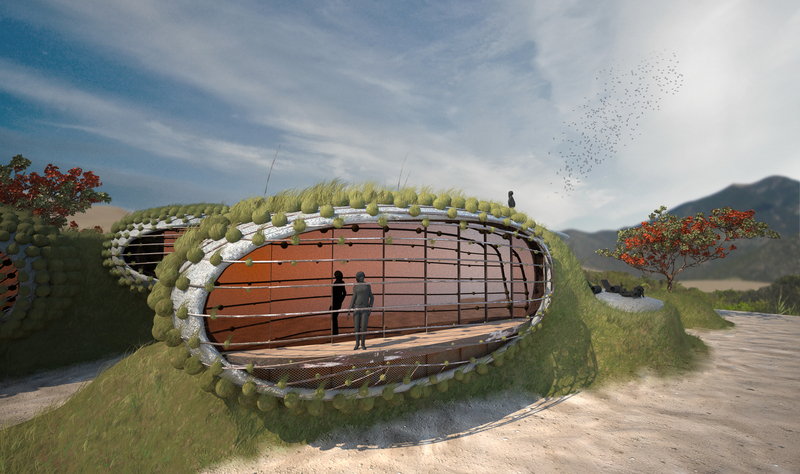 Italian architect Gianluca Santosuosso unveiled the DUNEhouse as a flexible tool where the client has the possibility to define his own house. Mainly, the idea is based on a system composed by different volumes where each of them represents a program or a cluster of it (bedroom and bathroom, kitchen, swimming poll, etc.) and the client is able to distribute them on the plot and creating every kind of space and connection that he prefers. In the project, the most important parameter is the wind, so the base geometry of the house (the sequence of air flow analysis shows some of the wind test) is organised in order to maximise the wind flow and consequently the natural ventilation inside the building. 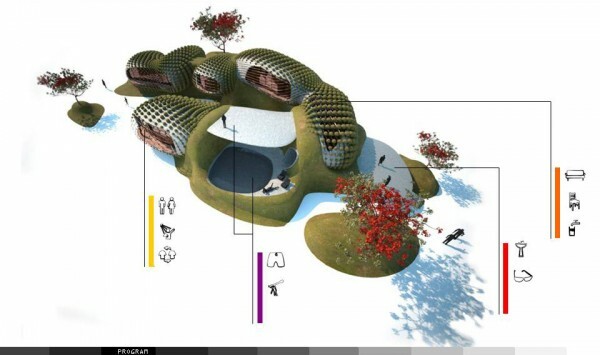 To increase the effect of this mechanism all the house volumes (made of reinforced and insulated concrete shells) have been thought on the top of small artificial dunes working as thermal mass with the aim to regulate the income air temperature. In this project, the most important parameter is the wind, so the base geometry of the house (the sequence of air flow analysis shows some of the wind test) is organised in order to maximise the wind flow and consequently the natural ventilation inside the building. To increase the effect of this mechanism all the house volumes (made of reinforced and insulated concrete shells) have been thought on the top of small artificial dunes working as thermal mass with the aim to regulate the income air temperature (diagrammatic section on the left).